You may donate by credit card through our fiscal sponsor's page by clicking the Donate button below. 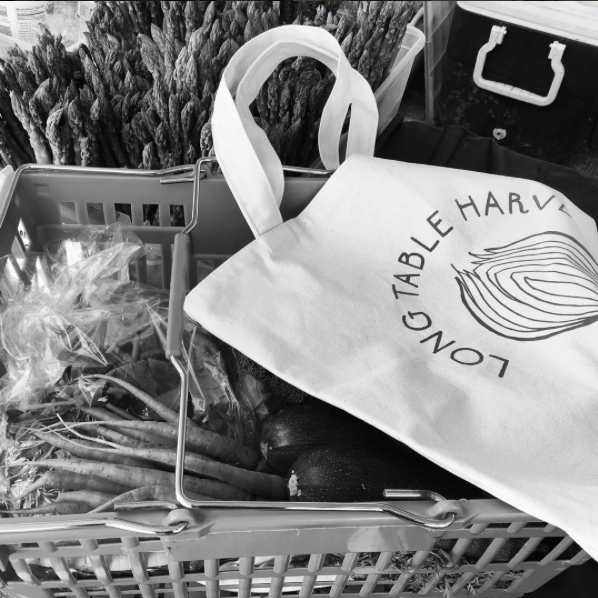 Then on that page please select Long Table Harvest as your gift Designation. Share -- Tell someone you think should know about the work we do. Lend a hand -- Sign up to volunteer on a glean next year or get in touch with us about a skill or resource you'd like to share. Wear our swag - We have organic cotton t-shirts and market bags for sale, $20 each. Just let us know what size shirt you'd like.